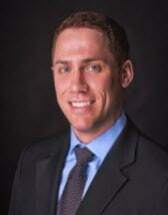 Nathan Swanson is an associate with Rosenblum, Schwartz, Rogers & Glass. Nathan received his B.A. from the Colorado College in 2004, and his M.A. from King’s College, London in 2006. He graduated from the University of Denver Sturm College of Law in 2009.